There are a lot of preventative measures taken at the dentist office and one of these is dental sealants. Dulay Dental wants you to understand the benefits that dental sealants have for you and your children. Dental sealants are applied at the dentist office. They are composed of a thin plastic coating that is painted on the chewing surfaces of your teeth. The primary area these sealants are placed include the molars and premolars. 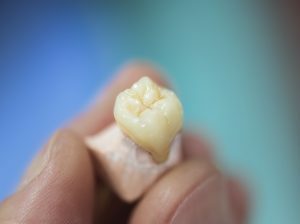 Dental sealants bond to the individual grooves and depressions in the tooth and perform a coating over the enamel that protects it from becoming damaged. There are many benefits to having dental sealants applied to your teeth. Brushing and flossing are great for flat surfaces of your teeth, but it can be very difficult to get plaque and tartar out of the dips and grooves of your molars. Sealants fill these areas and block out food particles, bacteria, plaque, and tartar from building up in these hard to access areas. This dramatically reduces the risk of developing enamel erosion and tooth decay. Sealants are great for anyone who has their natural teeth. 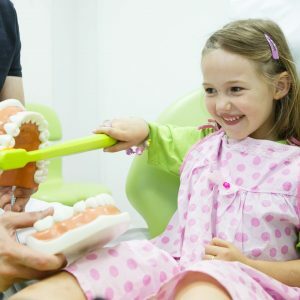 Children and teenagers are at high risk for developing cavities and decay in their molars and premolars. This helps protect their teeth as they learn to care for them properly, and as the exaggerated dips and groves wear down to their permanent depth over time. Adults who have not had fillings or decay on their molars may also benefit from dental sealants, which will protect the surface of their teeth over time. Dental sealants are typically applied right after your professional cleaning has been completed and the teeth have been dried. An approved solution of acid is used to create a rough surface on the tooth so the sealant adheres to the tooth surface. The teeth are then rinsed and dried again to ensure the acid solution is completely removed. The sealant is painted onto the tooth using a small brush. At your next visit, your hygienist will check your sealants to ensure they are not chipped or warn. An advantage to sealants is that they can easily be replaced as necessary to ensure that your teeth remain healthy.